Whether it’s busy commuters or people heading out for a night of partying, ridesharing caters mostly to individuals. But Chrysler is trying to reach a different group of customers. The automaker is teaming up with Kango, a startup that provides rides and childcare services for families. 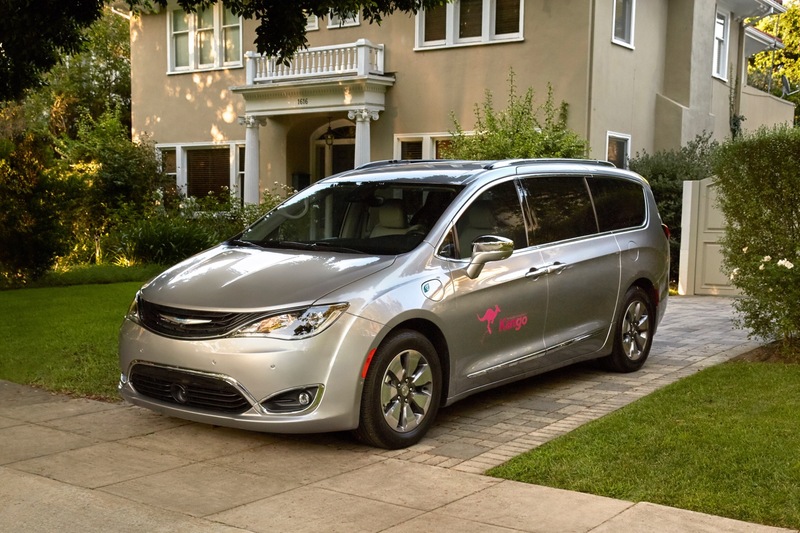 Under the partnership, Chrysler will lease Pacifica Hybrid plug-in hybrid minivans to eligible Kango drivers. While General Motors already provides vehicles to rideshare drivers through its Maven sub-brand, Chrysler claims the partnership with Kango is the first in the U.S. to involve a family-oriented ridesharing service. California-based Kango will begin deploying the minivans in San Francisco this fall. Kango currently operates in six counties across the San Francisco Bay Area, with 250 drivers, all of whom underwent a screening process before taking paying passengers. Chrysler and Kango believe the Pacifica Hybrid will be good for trips that involve multiple pickups and drop-offs. That will allow a driver to pickup several kids from the same neighborhood and drop them off at school, for example. The Pacifica Hybrid also offers fuel efficiency and green credibility, perfect for eco-conscious California. The Pacifica Hybrid is actually a plug-in hybrid. Unlike a conventional hybrid, it can be plugged into a charging station like an electric car, and can operate for an appreciable distance solely on electric power. The Pacifica Hybrid has an electric-only range of 33 miles, according to the EPA, and can achieve 84 MPGe combined running on both gasoline and electric power. Chrysler isn’t the first automaker to get involved with ridesharing, and it probably won’t be the last. GM’s Maven offers low-cost vehicle rentals to Uber and Lyft drivers, and the automaker invested $500 million in Lyft last year. Ford is eyeing ridesharing services for its promised self-driving car, due in 2021. Automakers, tech companies, and assorted analysts believe ridesharing will increase dramatically in popularity, and may erode car sales. Car companies are preparing for that possibility, and for the potential profits that may come from running their own ridesharing services. Whether Chrysler’s family-friendly approach will help it stand out in this scramble remains to be seen.